After the merge with Microsoft, Nokia decided to stop the development of Symbian OS and pretty soon, we will be expecting the news of Symbian OS is dead. Nokia , One of the leading mobile manufacture in the world, is opting for Windows phone and that leaves end of Symbian OS and its 1500 employees. 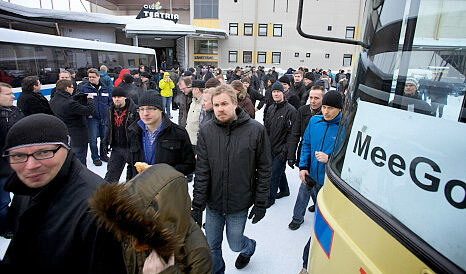 Surprisingly, Google offers jobs to Nokia employees who are in firing queue.. But, there is no official confirmation from google yet. but, the leading recruiter has tweeted about this.